This is a very rare siren, used for Civil Defense warning. Less than 50 were made by Federal Sign & Signal, Inc in the late 1950s. Model 500-DH-TT. This siren offered a unique sound and one side has 8 ports, the other, 12. 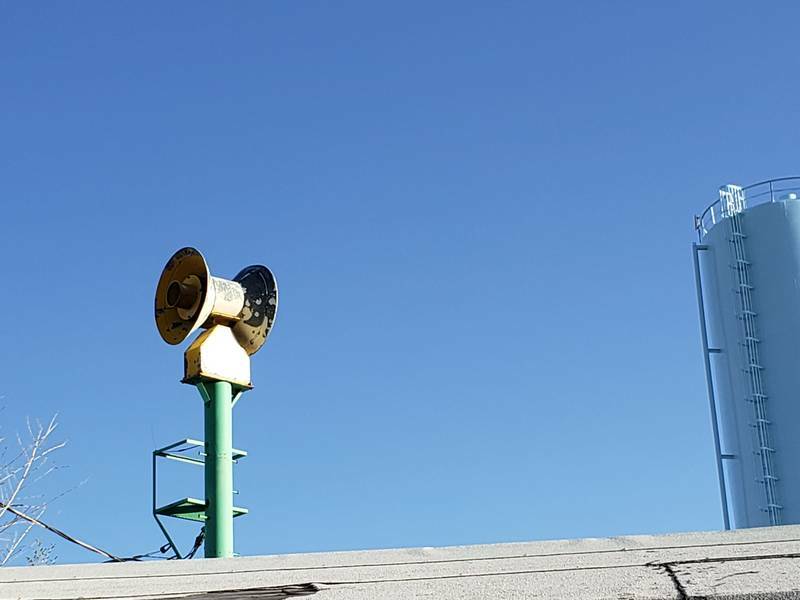 The resulting sound is very penetrating and from a distance of about a mile away, one can notice a slow high/low sound as the siren head rotates.